Today we had a going away party for our school secretary. 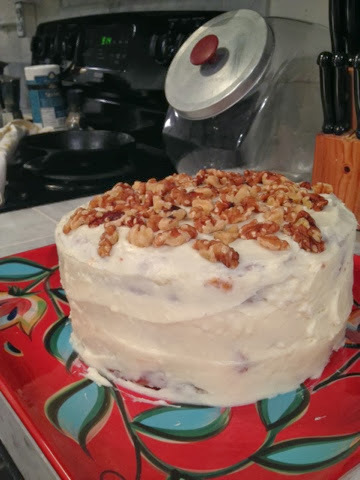 I made this carrot cake and I just had to share. It was the perfect fall dessert...full of coconut, nuts, pineapple, and spices. I think it could become my specialty.